Every fall, whether because of—or in spite of—parents and siblings attendance at Austin College, approximately 10 percent of the freshman class is following a member of their family into the ’Roo nation. Sometimes the family lineage goes back generations. Sometimes a sibling who is a sophomore or junior has begun the trend. Either way, the family tradition continues. 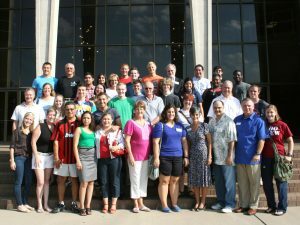 This fall, Spencer Nystrom of Mesquite, Texas had at least 21 family connections, beginning with graduates from the 1950s and representing the ’60s, ’70s, and ’80s, then jumping to the decades of the 2000s and 2010s. Newt Cunningham of McKinney, Texas, also had a long list of family members who have attended. 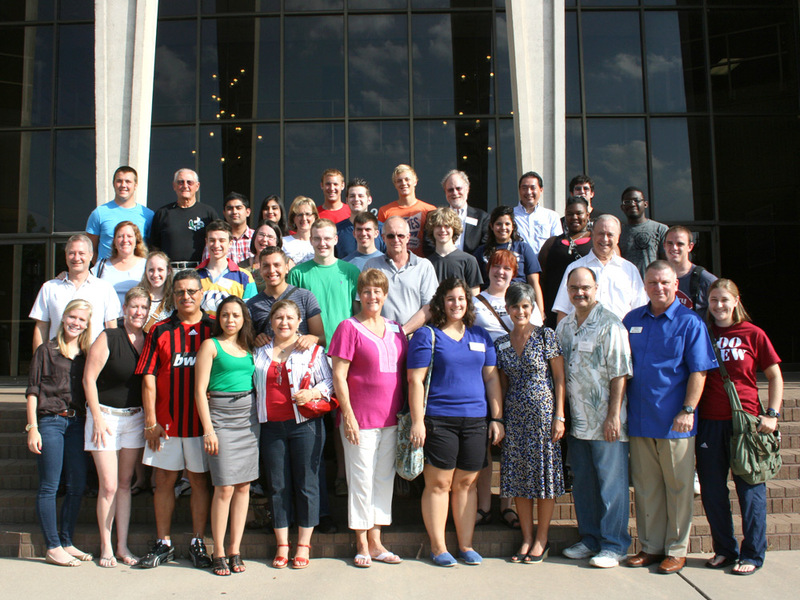 Through the years other alumni have had similarly long family traditions of Austin College attendance. More than 20 connections? Beginning earlier than 1940? Write editor@austincollege.edu with the names, relationships, and graduation years of the family members. Who has the longest legacy? 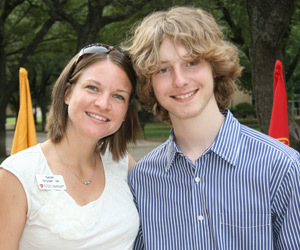 Spencer Nystrom with one of his many Austin College family members, Sarah Beatty Snyder ’04 of the Austin College admission staff.